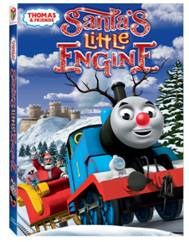 The Thomas & Friends®: Santa’s Little Engine DVD features five frosty and fun-filled episodes and will be available for the suggested retail price of $14.98. Join Thomas, Percy, Gordon and all the other steam engines as they learn the true meaning of the holiday season. Hop Aboard Santa’s Little Engine To Spread Christmas Cheer With This All-New Holiday DVD! This giveaway will end November 4th at Midnight EST. 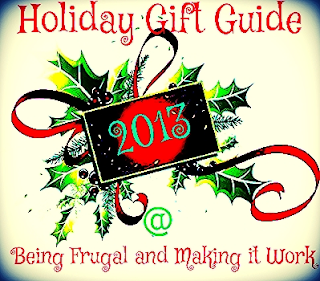 Disclaimer: The Being Frugal and Making it Work family received complimentary Thomas & Friends: Santa’s Little Engine DVD for the purpose of writing a review and hosting a giveaway. Regardless, I only recommend products or services I would use personally and/or believe will be a good fit for my readers. The views and opinions expressed on this blog are based purely by our own experiences. No monetary compensation was received. Results may vary. We like the Thomas and Friends DVD series. Thomas is our favorite character in the series. My grandson is our Thomas and Friends fan. His favorite are Percy and Thomas. We enjoy watching with him. My grandson loves watching Thomas and also enjoys playing with his Thomas train sets. His favorite character is Percy! Thomas is my nephews favorite. He loves trains and loves to watch Thomas. Thanks for the review and giveaway! My favorite has always been Percy, but my grandson is in love with Thomas. He can sit and watch it for an hour straight if you let him. The kids love watching Thomas! Rosie is my little girl's favorite and the boys love Thomas best. My oldest says James is his favorite, but Percy and Thomas come a close second. My youngest loves them all! My nephew's favorite character from Thomas and Friends is Salty. He is a huge Thomas fan! My son's favorite Thomas and Friends character is Thomas. He enjoys watching the DVDs that we have for him on Thomas and Friends. Toby is my sons favorite! His favorite is Percy, he loves the music and and I am happy that he learns about friendship and helping each other. My kids like all of them, especially Percy. They have lots of the little trains and play with them all the time! My son's favorite Thomas & Friends character is Percy. He gets very excited when Percy is on TV. My sons love Thomas and his Friends in all of their adventures. They like Percy, James, Edward and Rosie. my nephew really love thomas and friends. he likes all of the characters, but i would have to say that percy is his favorite. Thomas is my nephews favorite character. They like him because he's the main character, and he's very friendly. Thanks for the giveaway! My daughter likes Emily the best! I wish there were more female characters on the show.